The conference was attended by high-profile journalists Adel Hamouda and Mostafa Hussein, along with numerous supporters of ousted president Hosni Mubarak and his last prime minister and vanquished presidential candidate Ahmed Shafiq. At the conference, supporters of Mubarak and Shafiq chanted "Down with Morsi!" – in reference to Egypt's newly-elected Islamist president Mohamed Morsi – and "The people want Ahmed Shafiq!" Atteya attributed his decision to launch the new party to the "failure of Egyptian political forces to protect the revolution from those who were able to exploit it." In reference to Egypt's politically-ascendant Muslim Brotherhood, Atteya went on to point to "those who were able to mobilise large crowds and give a speech to the world full of fallacies that one of the candidates won the presidential race." The Egyptian authorities, he went on to say, had "prevented him [Shafiq] from winning the race, providing an opportunity for foreign interference and allowing a small state like Qatar to dare to speak about Egypt." Atteya continued, saying that pressure on Egypt's ruling military council had been "excessive and intentional," especially after Morsi announced his electoral victory a mere four hours after polling stations had closed their doors. The "second shock," Atteya added, came the day final election results were announced. "All Egyptians cried... In opposition to this, I thought about peaceful ways of countering the imminent danger that surrounds my country's people. I chose a civilised way to avoid clashes, opting to create the Egyptians Party." According to Atteya, Shafiq will have nothing to do with the new party. "We don't have to personalise matters, since he's my friend. But he's a national figure, and there will always be a place reserved for him," Atteya said. 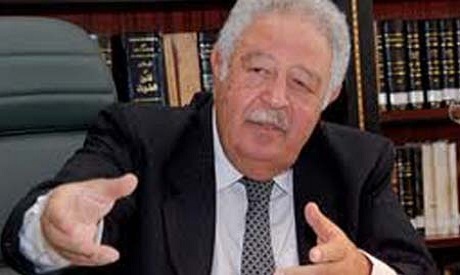 The lawyer went on to express his appreciation for former presidential candidates Amr Moussa, Mohamed Selim El-Awa and Abdel-Moneim Abul-Fotouh. When the latter's name was spoken, Shafiq supporters in attendance shouted out "No, no!" but loudly applauded when Sabbahi’s name was mentioned. Regarding the would-be party’s political programme, Atteya said that "parties' political programmes are always similar," stressing that what differentiated them was their credibility. He added that the new Egyptians Party would be based on "words and deeds," drawing its inspiration from the revolutionary principles of citizenship; the freedom of belief, press and expression; and protection of Egyptian national wealth and resources. Isn't he charged with corruption during his service under Mubarak? Amazing, the Generals allowed him to run and swept this under the rug. But since he lost the let the process continue and he fled the country. The revolutionaries and Christians were going to put another corrupted regime member back into power. President Morsi is now president of all Egyptians and he is the best to hold that post from all aspects, and a million times better than any of the previous regeme supporters. Enough of that nonesense and give the man a chance to remedy decades of corruption, social injustice, favouristism, theft, violations of human rights, just to mention a few, that which those people -talking now- turned a blind eye thereto and most of them were beneficiaries of that dark corrupt era. Mubarak and Shafiq supporters should build a new political party purely on democratic principles and practices based on human rights,duties and responsibilities of their cadres aspiring for a welfare state based on secular values oriented in Islamic and Abrahamic traditions. It is the brave Egyptian peoples who brought back the lost democratic ideology in their homeland. Regardless, everybody should support their cause and dedication. Everybody needs to stand up unitedly for keeping up their democratic heritage. The peoples are the real decision maker of their governing institution. Accordingly they did it and everybody regardless their differences of opinions should obey and work together for nourishing their long awaiting dreams.